So far, Bollywood actors have faced humongous criticism from fans. Just as they receive the love they also receive negative criticism. Although, for some negative comments have always been out there for them. Bollywood celebrities are always on the forefront of sucking up all the bashing and hatred that comes their way. While they need exposure and limelight for the professional front, they got to surrender their personal lives at the stake of stardom. 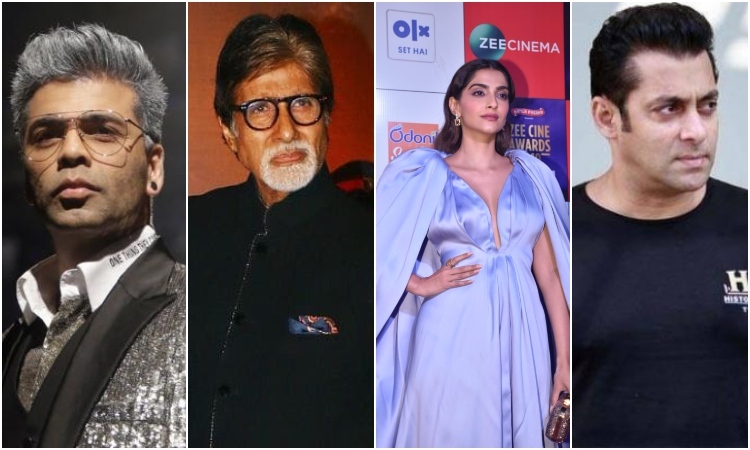 Recently, Reddit witnessed a discussion with the origination of an open question about naming one Bollywood celebrity that people want to slap in their faces, we witnessed how vulnerable Bollywood stars are when they are put on a pedestal. 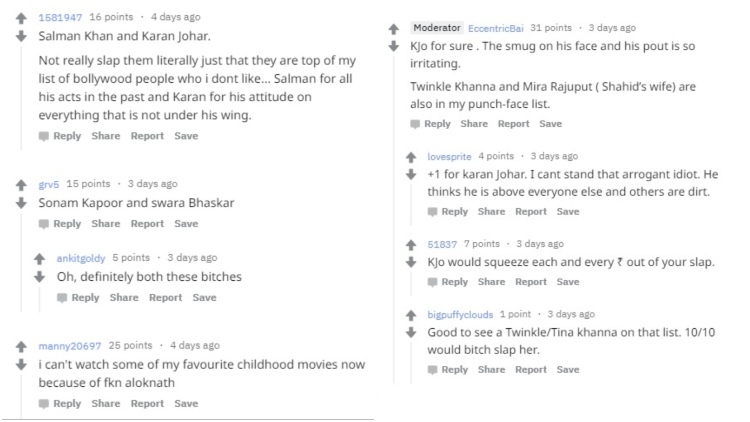 So when a Reddit user recently posted a question about slapping Bollywood celebrity in their faces, the most common name that popped up in the interaction was of Karan Johar. "KJo for sure. The smug on his face and his pout are so irritating," wrote a Reddit user while another user resonated his thoughts and commented, "I can't stand that arrogant idiot. He thinks he is above everyone else and others are dirt," said a user. 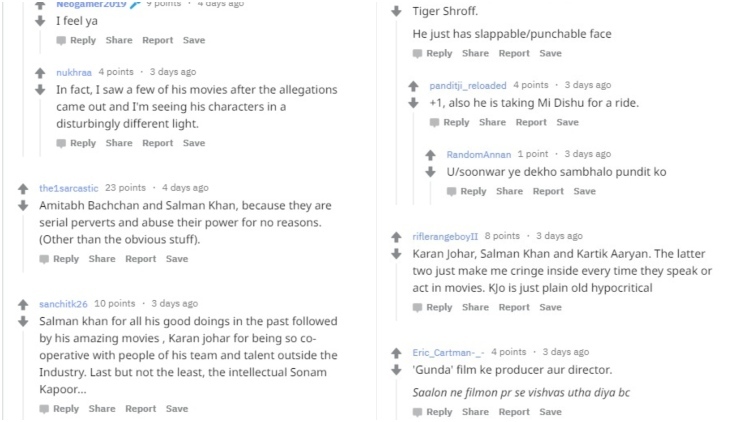 Another user said he wanted to slap Karan Johar for his attitude on everything that is not under his wing and also added Salman Khan into his 'Slap That Celebrity' list for all his acts in the past. Further on, users named Sonam Kapoor, Swara Bhaskar, Twinkle Khanna and Shahid Kapoor's wife Mira Rajput Kapoor in the list. Another name that was added in the list was of Malaika Arora and was called as the most irritating personality in Bollywood. You might think what could be the worst than bashing them on a public forum, well the audience also has been sarcastic about Salman and Sonam. Apart from them, big names like Amitabh Bachchan and Alok Nath were also dragged and we are clearly shocked!